Marinas.com has announced the City of Paducah’s Transient Boat Dock as a recipient of the 2018 Boaters’ Choice Award. 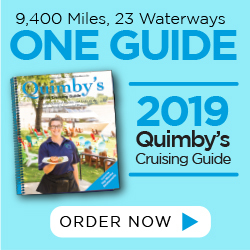 This is the second consecutive year for Paducah to receive the award, which honors marinas and docks that consistently provide an excellent home for the boating community. Coming through in 2015, I couldn’t understand why Paducah had no facilities for cruisers. This has now been wonderfully resolved with the new docks. I hope the town reaps the benefits from all the cruisers that stop by. I grocery shopped and had dinner in town, so hope I helped the economy in some small way. The docks are a superb piece of engineering and built at considerable cost. We appreciate the town’s foresight. Fantastic dock that we will visit again and again. Within walking distance of the downtown with plenty to see and do! Restaurants and downtown merchants are many, and the River Wall art and Quilt Museum are fun things to see. Thanks Paducah! In 2018, 360 boats docked at Paducah’s Transient Boat Dock, spending a total of 522 nights. 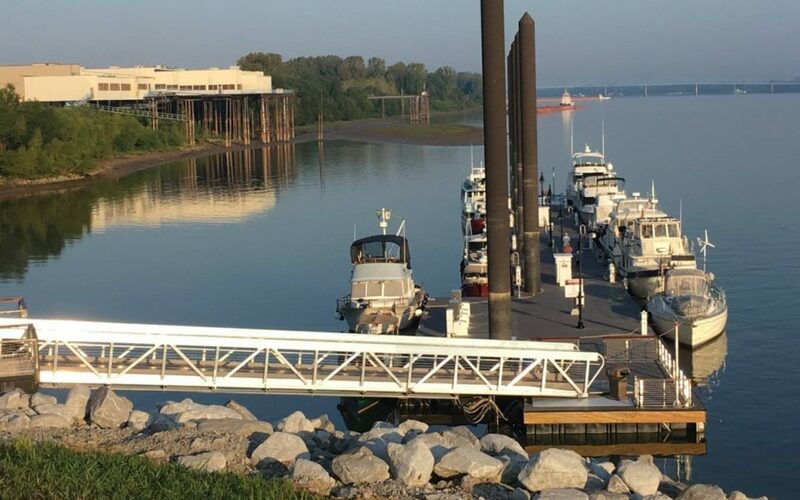 Paducah’s 340-foot-long Transient Boat Dock is located downstream from the heart of historic Paducah and provides space for transient boaters to enjoy the town by spending a few hours or several nights. Amenities include fuel (diesel and marine-grade gasoline) and power pedestals. The availability of water and the sewer pumpout station are seasonal, with both of those amenities currently drained and winterized to prevent the freezing of pipes.